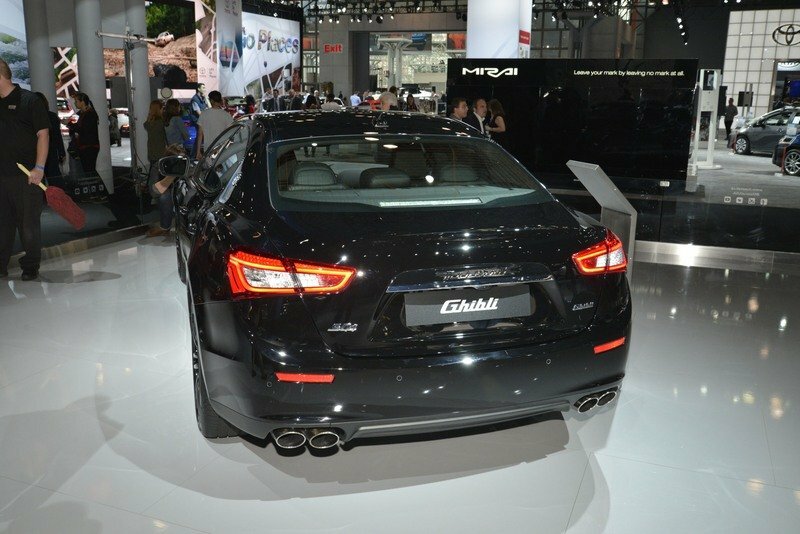 The current Maserati Ghibli was introduced in 2013, reviving a nameplate that was produced between 1967 and 1998. Unlike its predecessors, which were offered as two-door coupes and convertibles only, the new Ghibli is a four-door sedan. Sharing underpinnings with the larger Quattroporte and the recently launched Levante SUV, the Ghibli is the first Maserati to use a diesel engine. The oil burner is offered alongside two versions of the twin-turbo, 3.0-liter, V-6 gas-drinker that was co-developed with Ferrari. At the New York Auto Show, the Italian firm launched the Ghibli Nerissimo, a limited-edition model with bespoke features inside and out. 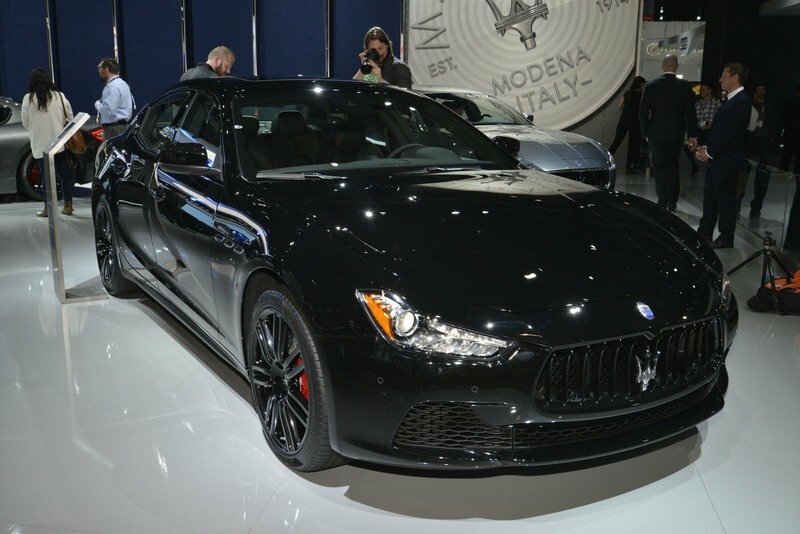 The name Nerissimo is based on the Italian expression for “extremely black," and there’s a good reason why Maserati selected it for this car. 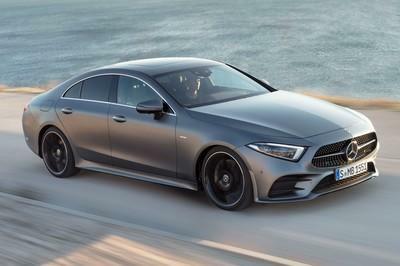 Although it’s identical to the standard model as far as design goes, the Nerissimo is an all-black take on the midsize sedan. It’s essentially Maserati’s very own version of the Chevrolet Midnight Edition, but in a more elegant package and with a more expensive sticker. The Nerissimo Edition is limited to only 450 units, which explains the rather hefty premium you have to pay for an appearance package. On the other hand, the Ghibli is quite gorgeous in this black suit and adds a bit of style to an otherwise aggressive-looking sedan. Continue reading to learn more about the Maserati Ghibli Nerissimo Edition. The Ghibli Nerissimo is the kind of car that Batman and Lord Vader would drive. Styling-wise, the Ghibli Nerissimo is the kind of car that Batman and Lord Vader would drive, in the sense that its exterior is almost 100 percent black. Not only is the body finished in a deep, gloss black, but the door handles, the window trim, and the front grilles are also finished in this dark color. Even the 20-inch Urano wheels are gloss black, which basically leaves only the headlamps, taillights, and badges as the only elements that add a touch of color to the exterior. Oh, and the brake calipers are red, which is actually nice because it provides a striking contrast with the black wheels. The interior features extra leather, black upholstery, and Dark Mirror trim. The black theme continues inside the cabin, but the Nerissimo is more than just a Ghibli with a really dark interior. For starters, it features extra leather compared to the regular model, and the black upholstery and Dark Mirror trim are highlighted by the red stitching and the red gear-shift paddles behind the steering wheel. 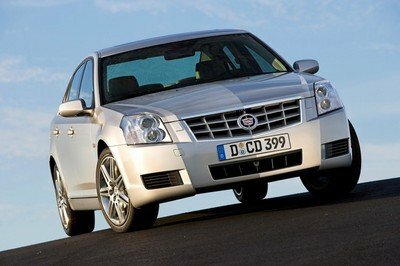 The sedan is also equipped with a pair of sports seats and a sports steering wheel, as well as INOX sport pedals. It’s definitely not as sober as the name and exterior suggests. Finally, each car has a custom badge on the center console highlighting the fact that it is one of only 450 units produced. Maserati also added blind spot assist, front and rear parking sensors, and remote start as standard, while the Ghibli S and S Q4 versions of this special edition come with Harman Kardon audio systems. The Nerissimo is available in Ghibli, Ghibli S and S Q4, meaning there are two engines to choose from. The Nerissimo is available in Ghibli, Ghibli S and S Q4, meaning there are two engines to choose from. 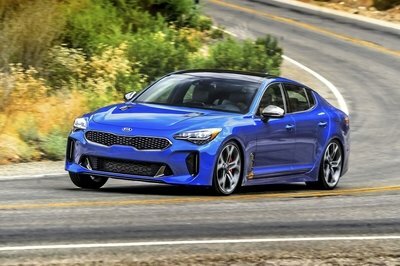 The base model uses the Ferrari-designed 3.0-liter V-6 with 345 horsepower and 369 pound-feet of torque, while the S version gets the 404-horsepower, 406-pound-feet variant of the same unit. The Ghibli S Q4 gets its juice from the more powerful version, but the oomph is sent to all four wheels thanks to an all-wheel-drive system. Naturally, the latter is the quickest, needing 4.8 seconds to hit 62 mph. The Ghibli S gets there in five seconds flat, while the base model is significantly slower at 5.6 seconds. The Ghibli is also available with a diesel engine, but you can’t have it with the Nerissimo package. Pricing for the limited-edition sedan starts from $77,250, which accounts for a $5,650 premium over the base model. 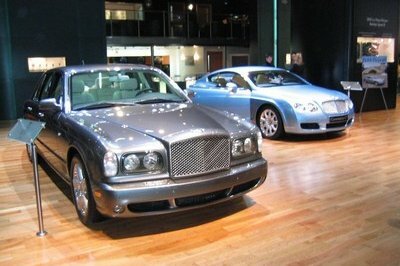 The S model retails from $84,000, while the Ghibli S Q4 is available from $86,500, $6,800 more than the standard version. Given the popularity black sedans enjoy nowadays, the Nerissimo will probably be sold out within a few months. Maserati North America has chosen the background of New York City to unveil a new special Ghibli model, the Nerissimo Edition, of which only 450 will be produced strictly for the United States and Canada. The debut of the Ghibli Nerissimo at the New York International Auto Show will showcase an edgier vehicle with a deep black palette. The name Nerissimo is based on the Italian expression for “extremely black.” The Nerissimo will be unveiled for the first time at the Javits Center during the auto show. 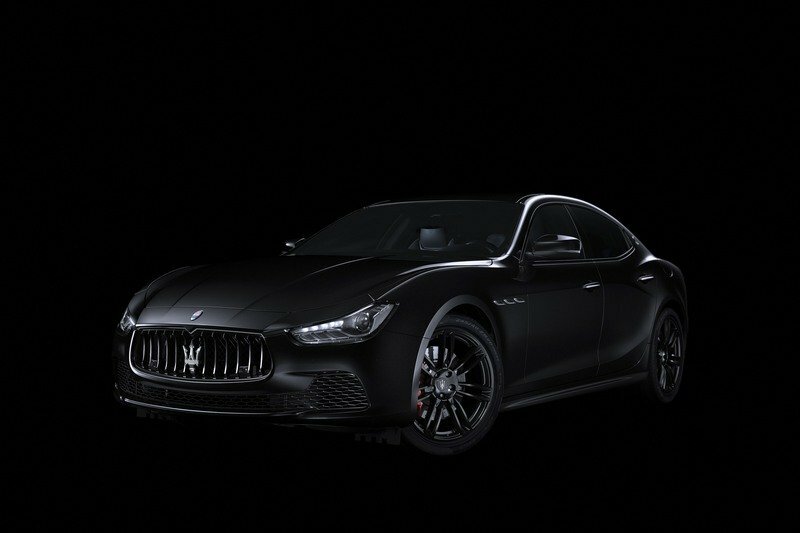 The Nerissimo will be available as Ghibli, Ghibli S and Ghibli S Q4, and will include Glossy Black finish 20-inch Urano wheels, black door handles, black window trim and black grille features, as well a black extended leather interior featuring red stitching and gear-shift paddles, INOX sport pedals, red brake calipers, Dark Mirror interior trim, Sport Seats and a Sport Steering wheel. All models will also feature standard blind spot assist, front and rear parking sensors and remote start, while the Ghibli S and S Q4 versions of the Nerissimo will additionally be equipped with Harman Kardon stereo systems. Each Nerissimo vehicle will have a badge located on the center console highlighting the fact that it is one of only 450 total produced. For 2017 the Maserati Ghibli takes a further step towards satisfying individual taste with the introduction of two new packages, Luxury and Sport, enhancing the standard features of every Maserati. The packages are designed to appeal to customers with differing tastes. In terms of engines, the Ghibli features the acclaimed, Ferrari-built, Twin Turbo-charged 3.0-liter V6 engine with an 8-speed ZF automatic transmission, featuring a Start & Stop function. 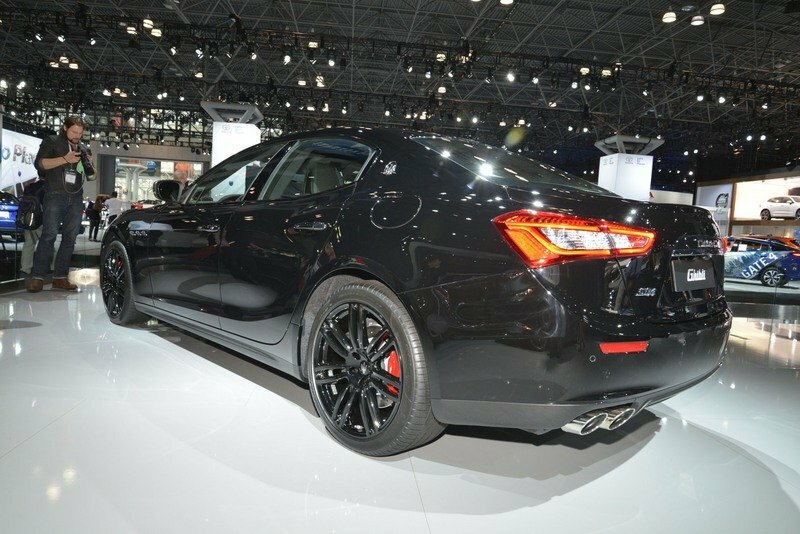 The Ghibli S Q4 Nerissimo on display in New York delivers 404 horsepower and the handling agility of Maserati’s Q4 intelligent all-wheel drive, gripping the road for maximum performance. It accelerates from 0-60 mph in 4.7 seconds, reaching a top speed of 176 mph. 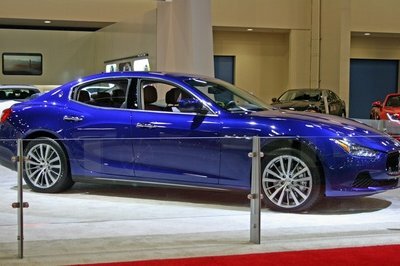 The Ghibli is the most accessible Maserati, with pricing starting at $71,600. The Ghibli S Q4 is priced beginning at $79,700. Pricing for the Ghibli Nerissimo will start at an MSRP of $77,250, with the Ghibli S and Ghibli S Q4 available at $84,000 and $86,500, respectively. 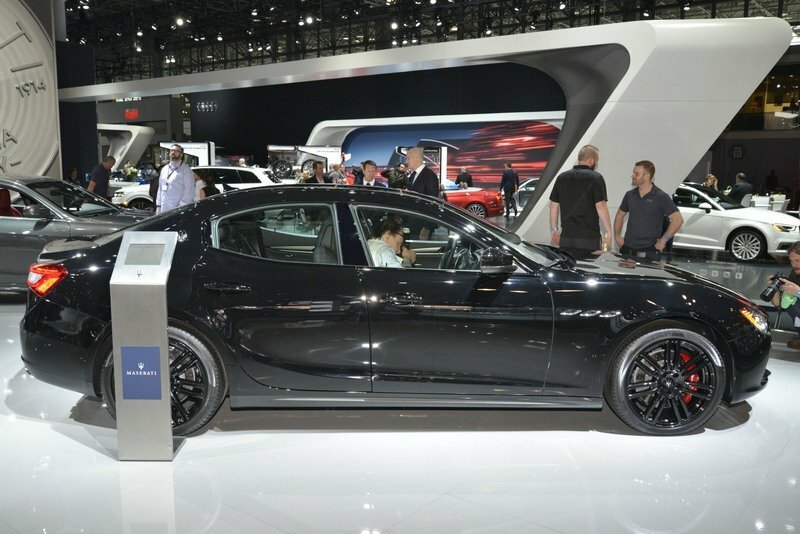 Additional new and varied offerings on display at the New York International Auto Show include two S versions of the Modena-based company’s first SUV, the Levante, one of which features the exclusive Ermenegildo Zegna Edition interior, as well as the Quattroporte S Q4 GranSport and GranTurismo Sport Special Edition.